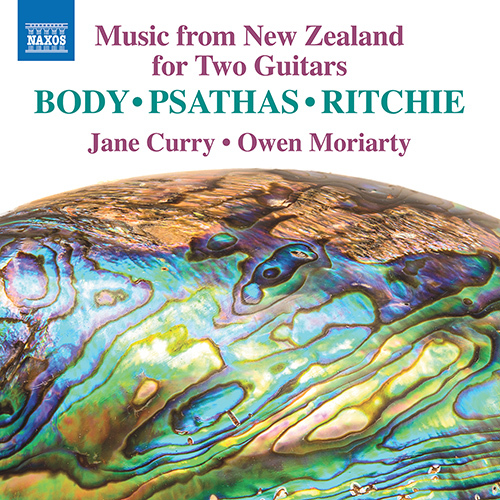 Guitar works by new Zealand composers continue to display a richness of imagination and sense of colour that makes them intensely attractive to listeners. In 1990 Jack Body wroteÂ African Strings, which transcribed music of the Madagascan valiha tube zither and West African kora harp to captivating effect. 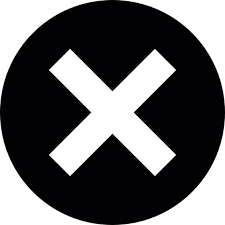 John Psathas’Â MuiscaÂ refers to the Chibcha-speaking people of what is now Colombia in music of conversational vitality and driving rhythm. 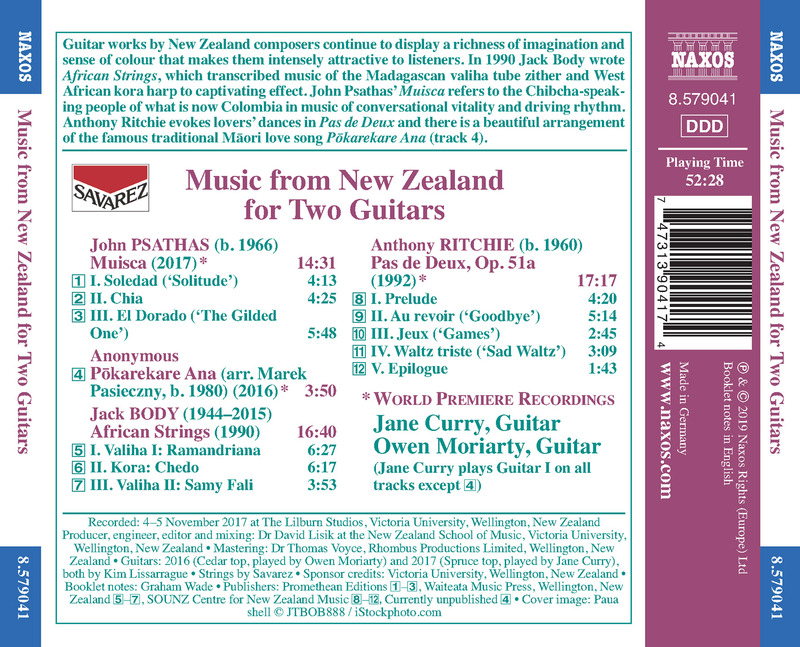 Anthony Ritchie evokes lovers’ dances inÂ Pas de DeuxÂ and there is a beautiful arrangement of the famous traditional MÄ�ori love songÂ PÅ�karekare AnaÂ (track 4).